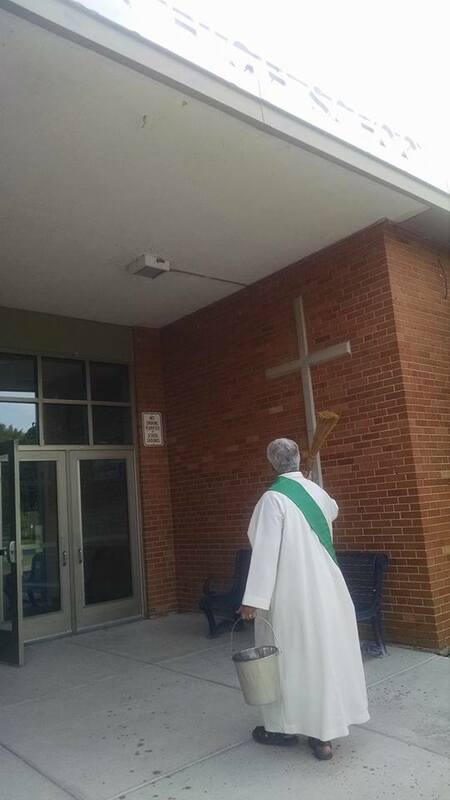 Posted September 7, 2017 by Amy Kawa & filed under Uncategorized. 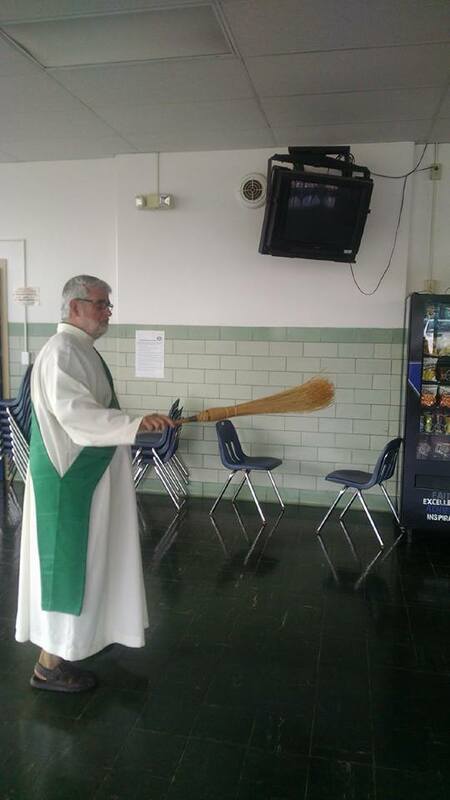 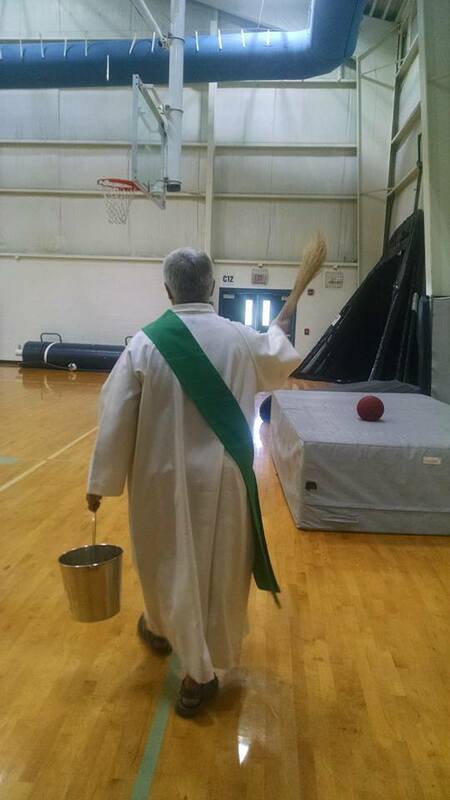 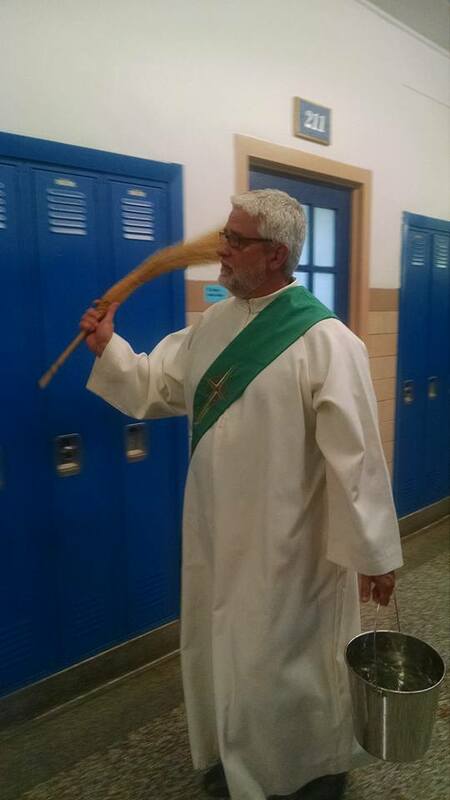 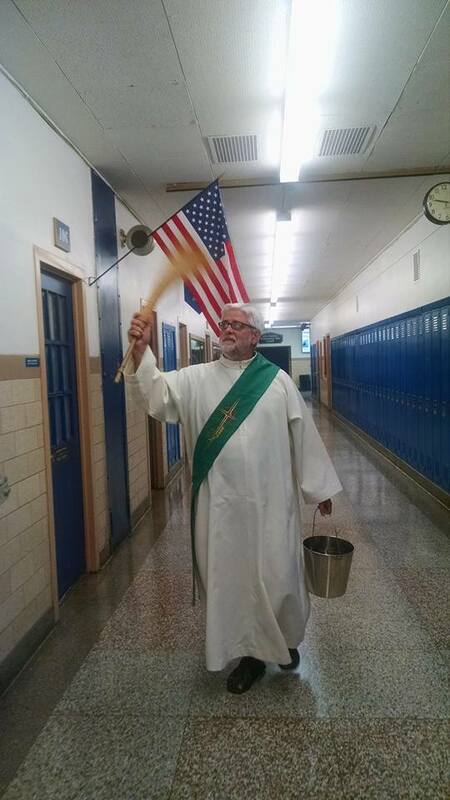 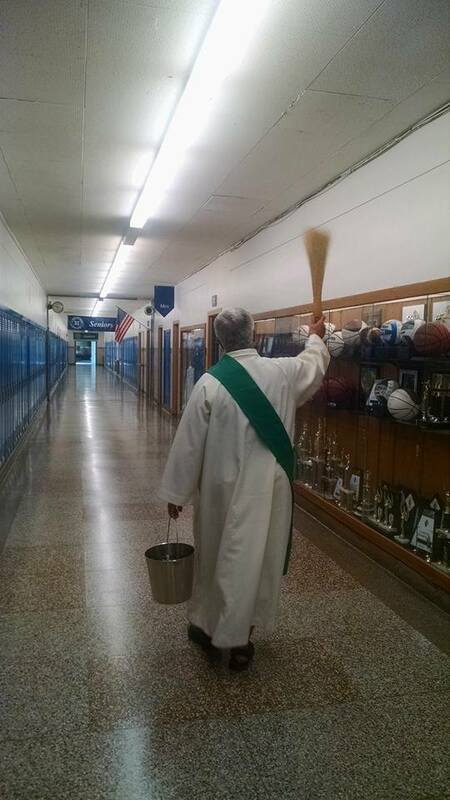 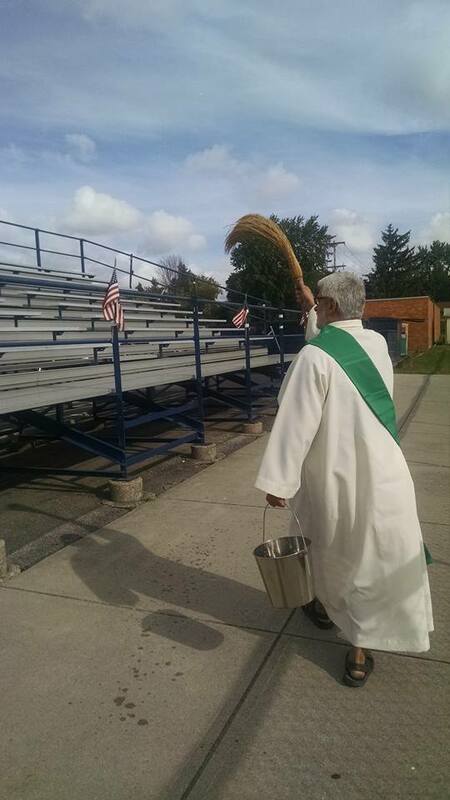 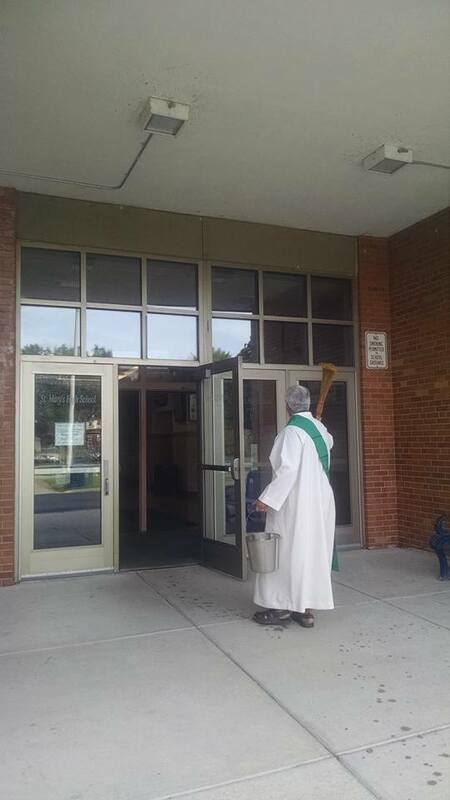 One of the newest additions to the SMH family as a Religion teacher and Campus Minister, Deacon Robb Ciezki, went around the whole school and blessed every corner of the building with holy water. 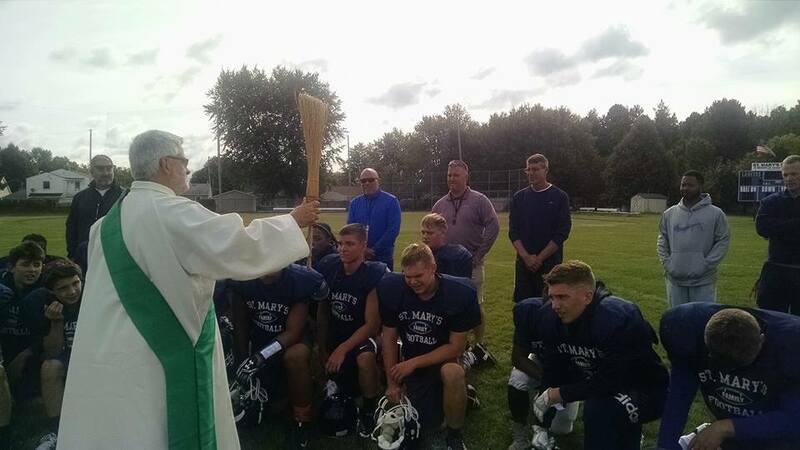 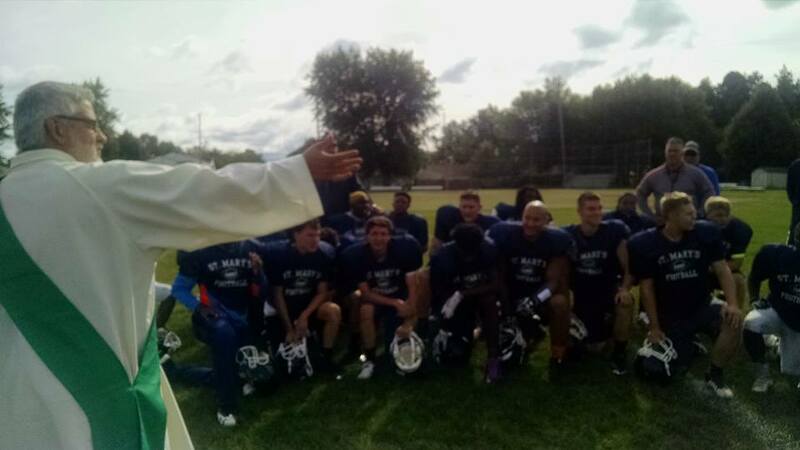 He also made a pit stop at football practice to give our boys a blessing that helped them get off to a 1-0 start this season! 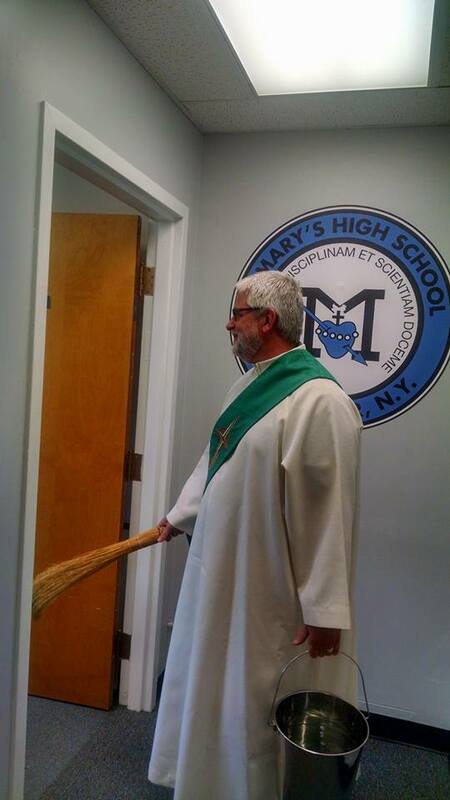 Now, we're ready to get the school year started!